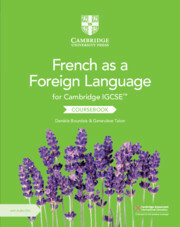 This print and digital teacher’s resource helps you explore the full potential of the Cambridge IGCSE™ French as a Foreign Language series. 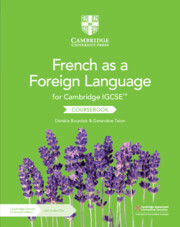 It contains lesson ideas for mixed ability classes, answers to the coursebook and workbook exercises and explains pedagogical aims of classroom activities. 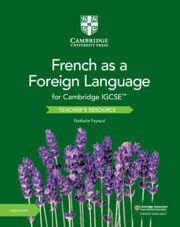 The Cambridge Elevate teacher's resource contains editable worksheets, vocabulary lists, editable audioscripts and audio files for the listening activities in the coursebook. 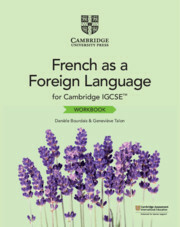 Together they help you save time when planning and preparing lessons, and allow you to mark quickly and confidently. 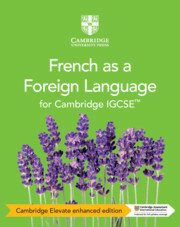 For more information on how to access Cambridge Elevate, please see inside the front cover.